The keyboard is one of the most important components of the user experience of any smartphone owner. Not only that it is the keyboard that can turn this experience into complete pleasure, and into true torture. It is also important from the point of view of security. This does not mean that it makes sense to constantly worry that the keyboard application is spying on you and stealing your passwords. However, it’s worth considering when it comes to security issues when you are going to download an absolutely unfamiliar application. There are a lot of keyboards – from extremely simple to ultra-modern, with a huge list of functions that often exceed the functions of the smartphone itself. And to find one that will match your lifestyle, this is a great success. 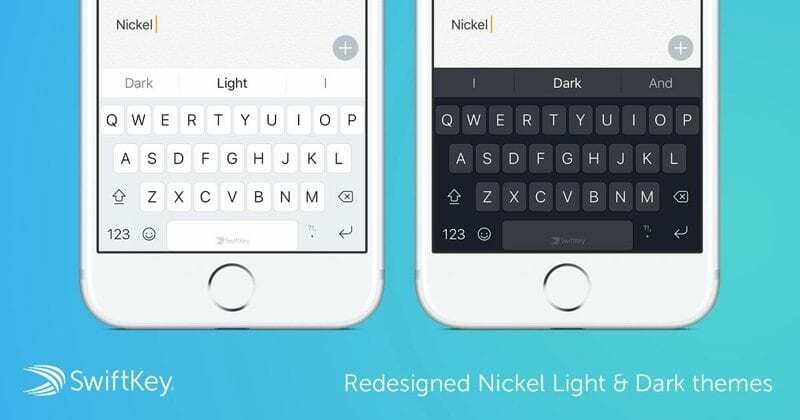 We bring to your attention 21 Best keyboard apps for Android & iOS, and you traditionally can share your testimonials in the comments with choosing the keyboard that suits you. 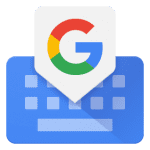 Gboard – Google keyboard, which is an excellent alternative with a large set of features and additional characteristics. Available for devices on the Android and iOS platforms and is completely free. Users separately note the lack of advertising and other unnecessary add-ons. In addition, the keyboard allows you to customize the functions to the needs of each user, up to the color solution and the skin. The Gboard application combines many functions useful to the user, which will save time and realize different possibilities. In addition to good speed and reliability, the keyboard has made the possible continuous input, as well as voice recognition with qualitative recognition. In addition, you will enjoy the built-in search. Continuous input function. It allows you to perform a set of gliding fingers from letter to letter, without tearing it from the surface of the screen. In situations where you can not type the text manually, the voice input function will help you out. The voice recognition system has ample opportunities and unerringly converts spoken speech into written speech. 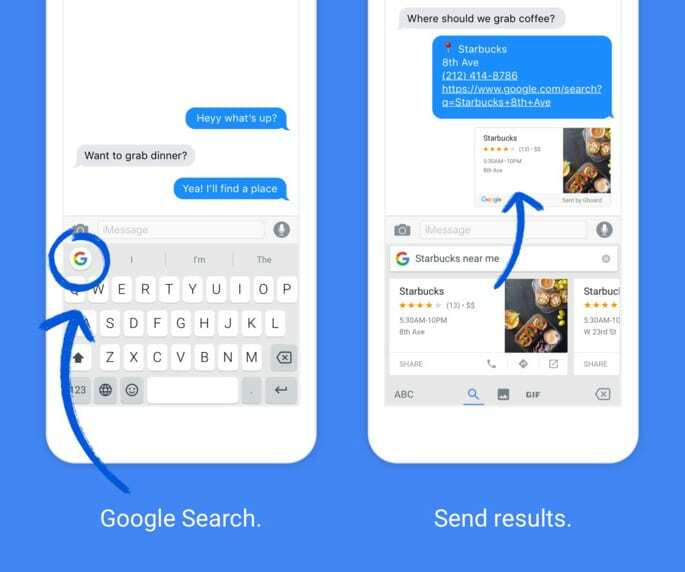 The search function inside the keyboard allows you to search and share information, without interrupting the conversation and without leaving the application. The search results are represented by top output, simple pictures, and gif images. Search allows you to share any information. The application supports a graphical keyboard, then it makes it possible to search GIF images through the Gboard. Then you can share them with the other person. The keyboard finds the desired emoticons almost instantly. The input is implemented in more than 120 languages. In the expanded layout, rare, not widespread languages are available. The keyboard automatically adjusts the text according to the selected languages and displays prompt. However, you do not need to manually switch languages. The built-in translator also allows you to translate without leaving the program. Gboard realized many functions that were previously unavailable for the keyboard and were considered incompatible. It is worth noting that the vocabulary book replenishes automatically, that is, there is no need to add a new word each time. To delete an unnecessary word from the dictionary, it is worthwhile to hold down the word for a few seconds by pressing at the moment when the application enters it into the prompt. In addition, the dictionary can be synchronized with other devices. Download the keyboard to Android and iOS and get an excellent solution for multi-function input and many additional features. Once you try this application, you no longer want to return to others. 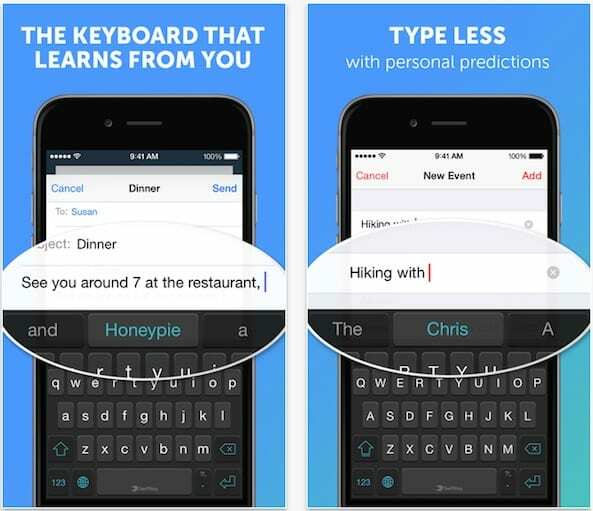 SwiftKey Keyboard is a program for Android and iOS phones and tablets that will replace the standard on-screen keyboard. 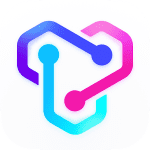 It has powerful tools for accelerated text input and error tracking, so active users of instant messengers and social networks will surely appreciate it. Thanks to the rich built-in dictionary SwiftKey Keyboard for Android and iOS offers its variants of the end of words and phrases after the introduction of the first 2-3 characters. Also, in its power to recognize and correct almost all common mistakes. The program carefully tracks and remembers all user actions in other applications, and subsequently, for each of them, a separate scenario is compiled. Also, the user can customize communication profiles himself, setting lists of frequently used words, changing the appearance of the keyboard to itts taste. The application is equipped with settings functions, including more than 30 color themes, layouts for all screen sizes and devices, support for more than 800 emoticons, predicting emoticons, etc. For pleasant communication, there are more than 800 emoticons, as well as the function of intellectual prediction of emoticons. The technology of predicting signs offers an emoticon corresponding to your words, to make communication more fun – add emoticons wherever you like. In general, it is enough to win a lot of fans. And SwiftKey Keyboard has really the whole army. The number of installations has already exceeded 5 million and it is not empty numbers. 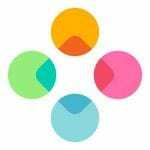 Outwardly, Fleksy differs little from the standard keyboard, however it has some functions that distinguish it from many. For frequently used actions, gestures are used, which after a short period of use should be deeply entrenched in your head. For example, you can drag your finger to the right in order to put a space, or hold to the left and delete the last word typed. Initially, the numbers are not displayed on the keyboard screen. You can select them by pressing the key that calls the characters or long hold your finger on the letter. However, you can add a line with numbers by installing the extension for Fleksy. As for punctuation, you can select them by swiping your finger up and down. Other extensions allow you to add the smart cuts function to the keyboard for a set of email addresses and other frequently entered information. 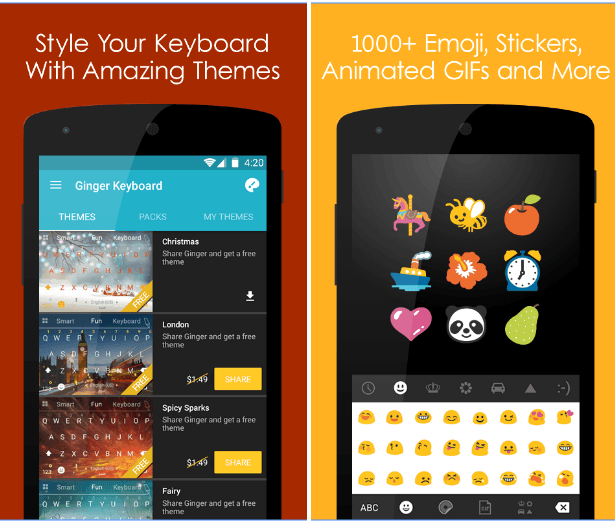 Fleksy supports emoji, which can be improved to GIF animations. From the disadvantages of this keyboard is worth noting that she strives to insert a space or punctuation after every word. This function can be turned off but it would be much more pleasant if it were a little smarter. If you have to regularly switch between two or more languages, and you most likely have to, on Fleksy you have to do this by swiping the button on the Spacebar. For each language, you can adjust the keyboard layout. New languages can be downloaded when you connect to the Internet. Automatic correction can be considered to the merits of Fleksy. If you sometimes get inaccurately on the keys when typing, in most cases, automatic correction will help you. If the first time it did not work out, you can switch between the proposed options for the last word, swiping your finger up or down. This is quite convenient. The Editor extension will add new cursor movement features and convenient tools for copying and pasting text. 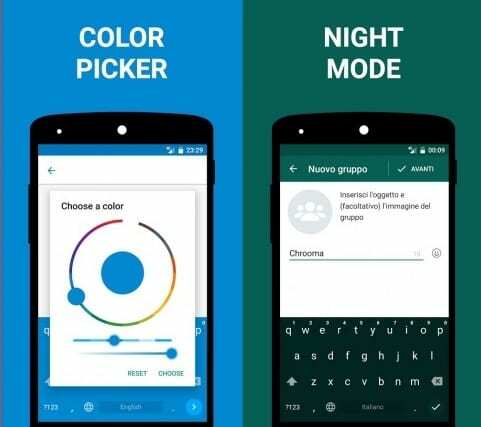 Fleksy seeks to learn as much as possible about the user and his habits. The keyboard imports names from your contact list, as well as frequently used words and expressions from electronic correspondence and publications on social networks. But, it seems, she is not friendly with the dictionaries of other keyboards, which is not a big problem, as the process of adding words and deleting them is quite simple. You can choose from a huge number of themes that change color and even add a background image to the keyboard. You can not create your own themes, but to find something to your liking will not be difficult. You can also change the size of the keyboard and remove the bottom line of the keys, which is completely replaced by the above gestures. 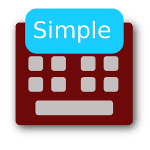 There are several useful extensions, such as the application launcher, which will allow you to switch between different tasks directly from the keyboard. There is also an extension that can make the keyboard transparent. This keyboard is designed to occupy the minimum space on your screen. With a simple gesture with two fingers, you can switch between full-sized and reduced keyboards. In full-size mode, you can access the Swype method. You can also hold down the keys and then hold your finger up to quickly dial the numbers and symbols. If you are in no hurry, the second panel with symbols is at your disposal. In the reduced version of the keyboard, almost all the same functions are available, except for the character set with a gesture up. Instead, the gesture is used to improve the accuracy of the set. Gestures also serve to delete words, enter a space, switch between lines and even to activate voice input and switch between languages. The Automatic Spacebar cannot be disabled but it seems to work well in most cases. Emoji is supported but there is no panel for the most used ones. The list of supported languages is small but Russian is present in it. The language is switched by a long press on the Spacebar or gesture up and to the left, which is convenient enough. The layouts QWERTY, QWERTZ, AZERTY, Colemak, Dvorak and alphabetical layout are supported. Minuum depends largely on auto-correction. Without it, working with a smaller version of the keyboard would be extremely difficult. This auto-correction is surprisingly accurate. You can also disable it with just one button and enter whatever you want. Minuum has access to your Android and iOS contacts and dictionaries but there is no simple and convenient way to edit the dictionary. The predictive set does not stand out in a good way. The keyboard is very configurable. You can choose from several topics that have the property of changing according to your wishes, either depending on the running application or time of day. The ability to set the image as a background of the keyboard is missing. You can also customize gestures and change the height of the keyboard. You can include an additional toolbar for text search, quick copying, and pasting. A smaller version of the keyboard can move freely around the screen. This keyboard is designed for advanced users who want to transfer their experience of using a PC on a smartphone. Hacker’s Keyboard can be convenient during the SSH session, giving access to all the function keys and navigation keys. By default, the keyboard is available only in landscape orientation, but this can be changed in the settings. The characters are entered with the Fn key held, and there is no hint of abbreviations or emoji support. Language packs will have to be installed separately from Google Play. Switch language by clicking on the Spacebar. Auto-correction is disabled by default but turning it on you is unlikely to be disappointed. Corrections are accurate, and if they are still mistaken, they can be canceled by pressing the return key. As for correcting spelling errors, you have to rely on the built-in spelling checker on Android. A predictive set is not supported. You can choose from four themes, which are rather designed for your convenience, rather than to make the keyboard attractive. The size of the keyboard is configurable. You get access to all the function keys, including Esc and F1-F12. For some, this keyboard is simply indispensable. The keyboard does not have access to the wireless network. The standard method of dialing and Swype are supported, however, the accuracy of the latter is inferior to other keyboards. Much better with a set of symbol… All of them are displayed on the main screen, and you can enter them by long pressing or by a gesture on the key down. Moreover, additional screens are available in unlimited quantities. You can even create your own. Multiling supports emoji, rare characters, and abbreviations but you will have to install them additionally. As you could already understand from the title, the keyboard supports many languages and layouts. Switching the dialing language is performed by a gesture on the Spacebar. From the layouts, you can choose QWERTY, QWERTZ, AZERTY, Dvorak, Colemak, Neo, Bépo and others. Correction is implemented worse than in some other keyboards but you can use it. To cancel changes, you must press the back key to remember the word, you need to make a long press. It is possible to prioritize words. However, on the keyboard, screens with control keys are available, which in some cases makes text editing easier. The predictive set does not initially work but it starts to work after it learns about the habits of the user enough. At the same time, if you acquire, you can use it to insert long texts. Against the background of other products, it is difficult to speak about the possibilities of customizing this keyboard. You can do almost anything you want. 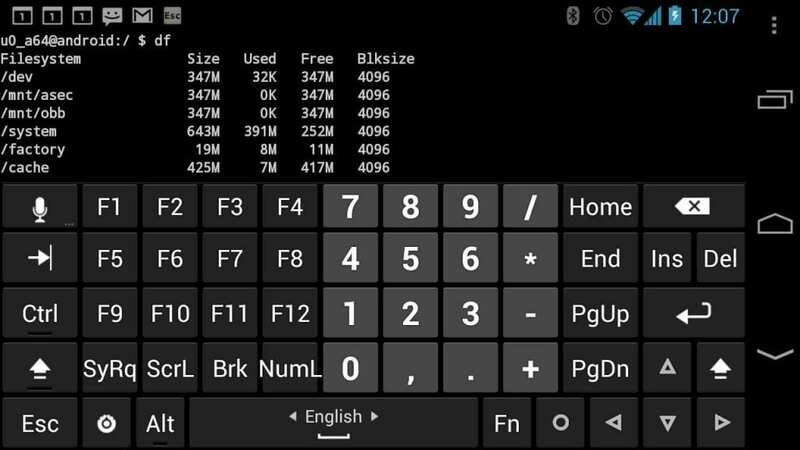 It is possible to create your own keyboard screen from scratch by selecting all the parameters and the location of the keys yourself. Do not want to yourself – you can download something ready from a huge selection. You can download useful dictionaries, for example, Linux and Hinglish commands. A conversion is available for the selected text. You can enclose it in brackets or quotes or, for example, translate. The keyboard does not have access to the wireless network, and all additional packages are installed separately. 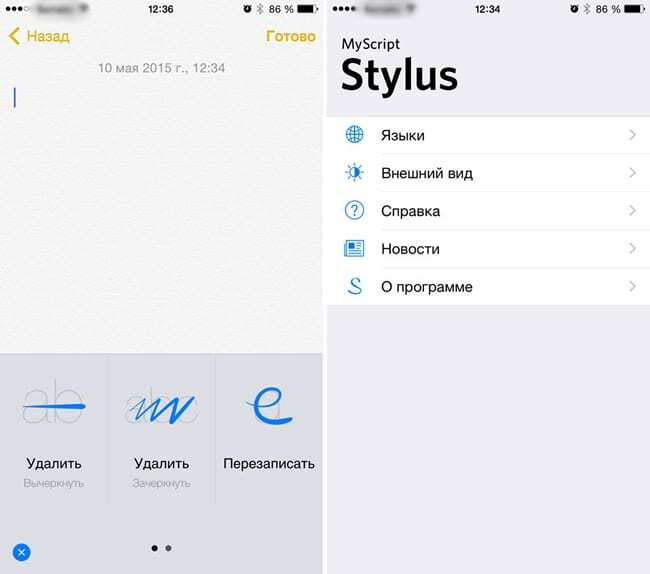 MyScript Stylus understands handwriting and does it wonderfully, even if you do not use the stylus. For ease of input, some gestures are also supported. In this case, handwriting is the only available mode for the keyboard, and it is not suitable for speed dialing, at least for most languages. The keyboard does not support either emoji or shortcuts. The list of supported languages is quite large. Switch between them by pressing the special key. Correction of the input you like. In order to delete a word, it is enough just to cross out it. If you want to replace a word, you can just write the word you want over it. You can also enter something between two words. But the predictive set is missing. For the most part, all the customization options are aimed to adjust the pen. You can change its color and thickness. This keyboard is based on AOSP, which means that it has a lot in common with the Google Keyboard. The classical input method and Swype are supported but the latter is explicitly added for advanced users, since not everyone can understand the procedure for enabling it. Symbols and numbers are typed by long pressing or from the second screen of the keyboard. However, you can add lines with numbers to the main screen of the keyboard. Smileys and emoji are caused by a long press on Enter. NextApp supports shortcuts. Input languages are selected in the settings. Switching between them is carried out by pressing a special key or by long pressing on a space. For each language, you can choose the layout of QWERTY, QWERTZ, AZERTY, Colemak and Dvorak. 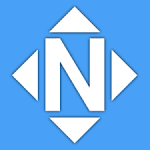 Automatic correction of NextApp is configurable and accurate. There are navigation keys to move the cursor, and to cancel the correction just press the return button. Dictionaries are supported, and one tap is enough to add a new word. The keyboard can be asked to learn the names of your contacts in the settings. All this works much better than the predictive set, which is nevertheless maintained. You can choose one of the ten suggested themes, among which there are Holo and Material Design. You can also change the size, font, and behavior of the keyboard for some terminal applications. Like Hacker’s Keyboard, this keyboard gives access to all the keys that you expect to see on the keyboard of the desktop computer, including Esc, Ctrl, and F1-F12. Anyone who has at least one terminal application on the smartphone, it will be appreciated. NextApp does not have access to a wireless connection, except when it is necessary to download language packs. 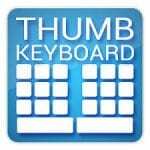 Thumb Keyboard for Android is one of the best alternative keyboards on the Android platform. Let’s start with the themes. This keyboard is probably one of the few in which you can change the background. Do you want a keyboard like in the good old 2.3? You are welcome. Do you want iPad theme? Or multi-colored? All this is possible with themes that you can download separately from the application itself. You can also customize the keyboard type. Whether it’s QUEEN, or slightly changed from the developer. There is already someone as convenient. In general, this is not just a keyboard but, so to speak, a polygon of your imagination. “Why is everything so complicated?” – you ask. The answer is simple: you can also customize it for yourself, and use the ready-made standard solution, but then it will be an ordinary keyboard, so to speak, without a raisin. A variety of themes that can be installed from the application itself. Adjusting the height of the keyboard, the size of the keys and the distance between them. Select the layout and use different layouts in portrait and landscape modes. Inserting pre-typed text (signature or contact data). Setting up additional navigation keys (Delite, PageUp or PageDown). Ability to use special characters, as well as function keys (F1-F10), emoticons, auxiliary keys (Tab, Copy, Paste, Esc, Alt, etc.). Fast switching between languages (just hold your finger along the space). This keyboard supports both the classic dialing method and gesture input but the latter cannot be called accurate enough. Continuous keystrokes and gestures up or down allow you to enter secondary characters, which can also be entered using the second keypad screen. On the second screen, there is a slate layout, which permits you to enter numbers conveniently. Smileys and emoji are placed on a separate screen. Abbreviations are not supported. Additional languages are included in the settings. Switching between them is done using the Space bar, or you can turn on the special key display to change the language. You can mix languages, and the keyboard will still offer correction and dialing options. 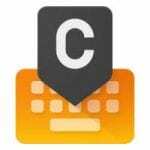 TouchPal remembers words by a tap but knows how to do it and automatically. The system dictionary is automatically imported when you first start the keyboard. Also, TouchPal works with a list of contacts of your Twitter. There is an additional screen for easy navigation through the text and editing. The predictive set is a plug-in and learning option, which is unusual in the case of gestures. TouchPal is installed with two themes and the ability to customize the background but other paid and free themes are available for download at the internal store. The fonts and keyboard size are also adjustable. The new keyboard is able to synchronize with a cloud of special gestures and words, which allows you to immediately start working, not caring that it will have to be configured. The keyboard already has popular emoji emoticons, which are used when communicating in social networks and services. Frequently used phrases and words are entered faster than expressions that are rarely used when writing. For clear and convenient data entry, voice input is also available. Customize this application easily and conveniently, even to someone who is not familiar with it. The keyboard supports various themes and design that you need to download from the menu using an Internet connection. ai.type keyboard is another representative of typing applications developed for mobile devices. Outwardly, this keyboard is no different from the others but it has a number of notable features. One of the main – at any time you can stretch the window of the keys, changing its size with the button on the right side of the screen. The size of the keys changes accordingly. Also, an excellent dictionary is built into the application, which can predict words with only one typed letter. There is also a spelling check, which helps to avoid so spelling mistakes that everyone dislikes. When the program considers that a typo was made, space is highlighted, when the fix is applied, the entire surface of the keyboard is momentarily painted green. It looks very beautiful. The program also has the function of predicting the following words, based on the context. This function is implemented in dictionaries of more than 40 languages. So this is a huge plus. Customization of the application is available: the user can use his own image as a substrate and select the type of keys from the proposed ones. And there is a built-in store for those, in which there are several thousands of free skins for the program. Among other things in the program, you can find the built-in calculator and the most convenient editor of the typed text, bringing this tool closer to full-size keyboards from personal computers. ai.type is a great keyboard that can surprise with some features. Among them, the pronunciation of typed words, as well as the search for a fragment of text through the search line. A large number of users do not like the standard keyboard from Google, which is always delivered with any smartphone. The Chrooma Keyboard did not get too far away from it in terms of design but it has something that can really interest everyone – it’s a diverse color scheme. Depending on the application in which the keyboard will be used, it will have a completely different color. For example, in the Google Docs app, it’s a bluish hue, it gets yellow in Google Play Music. The Chrooma Keyboard still had to be paid but even so, the program was an interesting alternative to the leading keyboards. This time it does not need to spend a penny. The main advantage of the program is the ability to change the color of the characters to the dominant color of the application in which it will be used. In update 2.0, where the fee was canceled in the Google Play store, many additional features were added, which were not in previous versions. The color of the keyboard continues to change actively when switching between applications (on Twitter it will be blue, in WhatsApp – green, red in Opera, etc. ), and the Options screen is adapted to the Material Design standards. Also, here is the added night mode, which makes the Chroom Keyboard color easier when setting the right time. A good solution for those who are not going to sleep in the evening and will write to their friends with the lights off. There was also the possibility of installing a light intensity sensor. In addition, the program was able to split the keyboard, carry out operations with one hand and synchronize words in the sentence. The main functions, which for many will be enough, are available in the Freemium package. To get additional features you will need to pay. Those for whom the appearance is of paramount importance when using a smartphone, you can honestly recommend the Chrooma Keyboard. Go Keyboard is an excellent alternative to the standard keyboard. Often the keyboard in the native firmware of the smartphone is not very convenient and does not differ with any great functionality, and apparently not very pleasing to the eye. 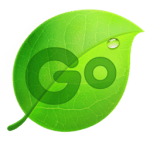 In the Go Keyboard program for Android and iOS, there is a huge functionality that we will take a closer look. In addition to the standard theme, you are offered a huge selection of different themes. Both paid and free. In the theme settings, you can also adjust the sound when you press the keyboard, adjust the volume of the sound and the vibration strength of the feedback response. Very convenient, you can fully customize the keyboard the way you want. Downloading a separate plug-in Go keyboard Pad, you can configure the keyboard, optimized for the tablet. This item should be enabled in the settings. 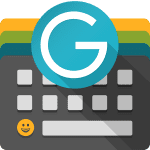 Go keyboard for Android and iOS has an analog of the well-known and many favorite method of input Swype, which is called Sliding mode. Unlike Swype, improved work with auto-space. If the space in the Swype keyboard is automatically entered after each word, and you want to put a period, you need to delete the space each time. Here everything is done differently, space is put automatically, only if you start to enter a new word. Very convenient function. We want to note the good location of the input elements. Switch language and voice input are located at the top, which is much more convenient, unlike most standard keyboards. Switching languages, you can also use swipes left or right, this function can be enabled in the program settings. Thanks to the word prompting function when typing, you can print much faster than on a standard keyboard because the program contains an excellent dictionary that knows a huge number of words in different languages. Activate the keyboard you can by going to the settings – language – and check the box on the Go Keyboard. The Go Keyboard is really well implemented with symbols and punctuation. 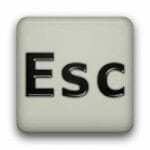 For a quick set of punctuation marks, there are two buttons on both sides from the space bar. It is enough to keep one of them and choose the right sign. When you type a character, space after the word is automatically deleted, and this is convenient. Quotes are immediately typed in pairs. The top part of the keyboard hides behind itself numbers which also can be typed by deduction. This is an excellent free keyboard with great functionality and a huge number of themes. The settings are simple and straightforward. Visually, the interface pleases the eye. Someone, at first, it may not seem convenient but after using it for a small amount of time, you no longer want to switch to an old, standard keyboard. If you are one of those who do not spend words on describing their emotions and feelings and use smiles, this is the application for you. Developers from the Riffsy company created a comfortable keyboard, in which included a huge library of GIF-animations. GIF Keyboard – all your favorite GIFs will always cheer up and set the atmosphere for any communication, especially those created with your own hands. Therefore, the GIF Keyboard application on Android and iOS should be downloaded on every device. To start communication using the resources of this program, it is enough to have a Facebook account, where it will be convenient to send pearls and excellent invented or heard jokes. 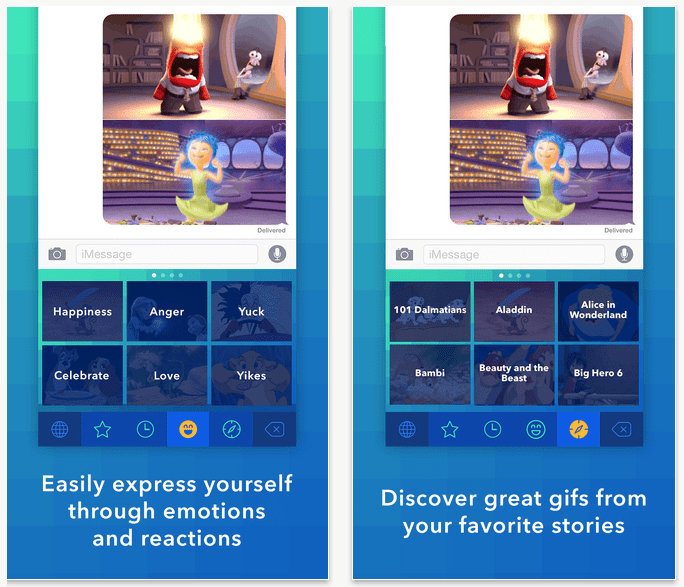 The GIF Keyboard application contains many ready-made GIFs, the most interesting for you among them can be added to the category of favorites so that they are always at hand and not lost. And you can give vent to your imagination and put your mood in a fictitious GIF. Having saved a certain amount of their creations – think up unusual names and create your own gallery. 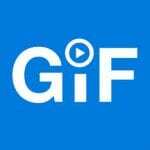 The program GIF Keyboard for convenience is divided into thematic sections, which allow you to easily navigate in an immeasurable number of these GIFs, distribute them into categories according to your taste. For your convenience, there are even musical accompaniments, which will even better convey feelings and moods. The Ginger Keyboard application has a modern design that helps make keys more comfortable. Among the set of free themes, you will find in your opinion the most interesting. By the way, the mobile program itself does not require any money from you either because you can download Ginger Keyboard for free just now! The slogan “Ginger keyboard + spell check Ginger Page = the best texts” speaks for itself! To your location is an extensive toolbar for literate and clearly articulated text. 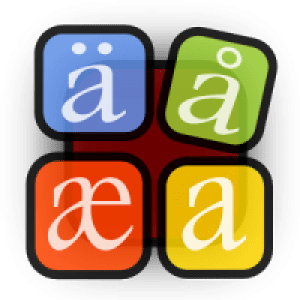 Wherever you use the keyboard – on a tablet or on a smartphone, you will feel self-confidence, the system will correct spelling, punctuation, and grammatical errors on its own! In addition, the Ginger Keyboard guarantees only the right construction of your thoughts, if necessary, the intellectual tool will be able to paraphrase the offers, pick up the best synonyms and definitions. The system supports about 40 languages of the world, translation is available. Add new words, names and often used slang in your personal dictionary. You can save some texts in the Favorites folder, and then quickly share them in social networks. There are additional functions – reading aloud and the phrase of the day (useful advice or saying in any language). 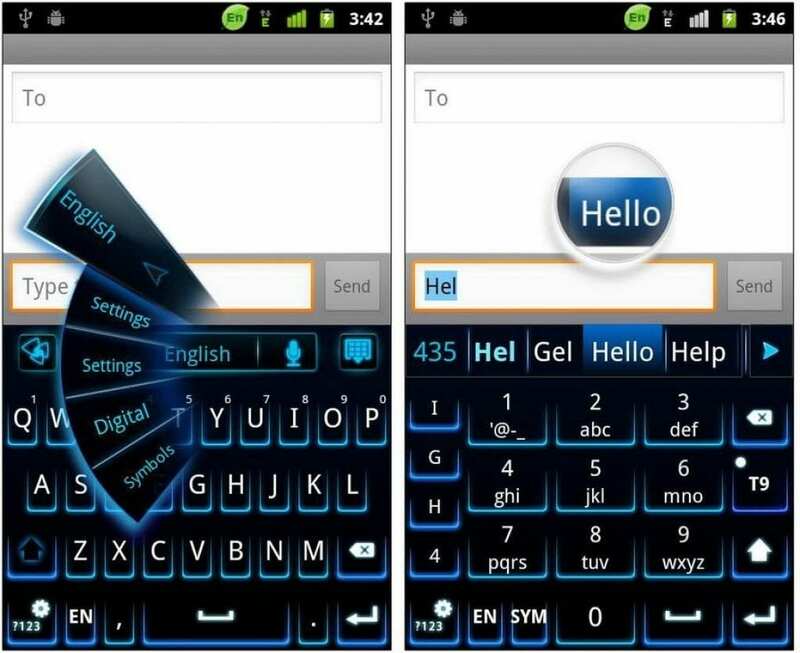 Do not miss the opportunity to download the keyboard on Android, update your gadget! 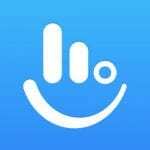 Ginger Keyboard has already liked almost by 5 million users, we are sure that your opinion about the convenient tool will also be positive. 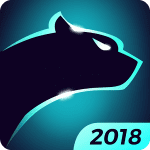 Cheetah Keyboard – a comfortable keyboard on Android and iOS, with which you can quickly type a message, insert a smiley or a GIF image, and thanks to a clever system of predictions, the speed of dialing increases significantly. The Cheetah Keyboard has an extensive online dictionary that will help users easily enter song titles, people’s names, catchphrases, movie titles, and serials. Such prompts increase the speed of dialing by at least three times. 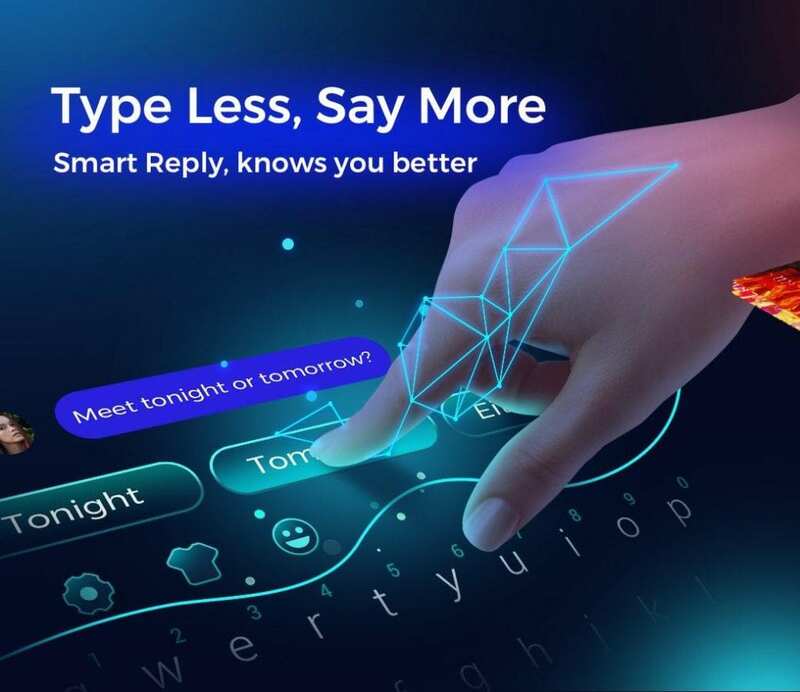 The keyboard has a smart answer, will offer you a maximum of three answers, so your answer to the interlocutor will be very high-speed. Install the theme you liked on the keyboard, for you, the developers have prepared a large selection of topics. The keyboard on Android and iOS has a bright daring design, a lot of additional chips and materials and a ton of fantastic functionality. Thanks to this application, the process of typing is simplified and will increase by a factor of several times. The keyboard is endowed with cool gadgets and a lot of additional functions that will make it comfortable and easy to type text. Like any modern keyboard, in the Cheetah Keyboard, a huge variety of themes and design are contained, allowing you to change the appearance of the program to your taste and mood. That’s really very much, they are divided into several dozen categories, among which there are both the most popular and recently added. thousands of GIFs, stickers, emoji for any occasion. 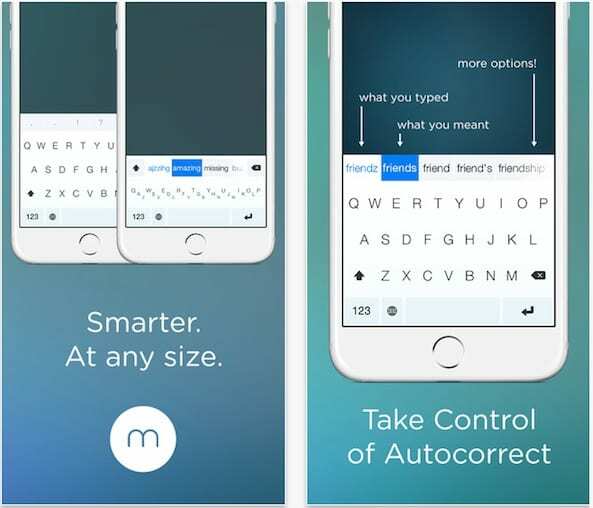 Smart Keyboard PRO – Excellent replacement for the standard Android keyboard. It’s no secret that the standard keyboard on many devices leaves much to be desired, both in terms of functionality, and in terms of ease of use so Smart Keyboard will correct this ridiculous misunderstanding. 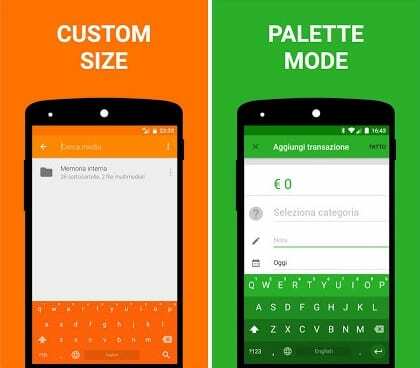 This keyboard for Android can do a lot, its functionality is very large, as there are a lot of skins and themes for the program, so you can pick up something interesting and stylish for yourself. The keyboard settings are as rich as its functionality, you can easily customize it for yourself, you can change almost any elements, as well as reduce or increase them. 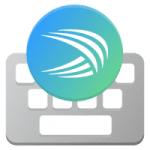 Smart Keyboard PRO on Android has a lot of input languages, as well as voice input is supported, for lovers of quick typing there is the usual T9 mode and gesture input mode. Just as easily, the program can predict the words you enter, as well as correct your grammatical mistakes. To add new skins to the application, just download them and put them into the SDcard/Skins folder, only be careful. The skins are packed in .zip format, you do not need to unpack them, throw them straight, and then select the style you need in the settings. Support of T9 functionality. This greatly increases the speed of printing messages. The application intuitively continues typing words. It meets all European standards of information input. In the application, you can change the main theme and design of the add-on. You can use the apple design for the Android phone. Choose your unique design. It perfectly improves mood and helps to establish contacts. Assigning hotkeys. In the settings, you can sharpen the utility to a maximum, assigning all the necessary hotkeys. The ability to enter text using a microphone. The icon in the form of a microphone under the letters on the panel. Quick and easy switching of language panels. The dictionary is automatically and manually updated with new words and phrases. Presence of all auxiliary functions. Send emoticons, stickers, and files. This keyboard has long been fighting for the title of the best. The appearance of it is not very modern, and that’s not enough but the settings and various functions are many. Let’s just say, this is the best keyboard for those who like standard input but want to adjust the size of buttons, appearance, etc. There are no frills here but there is an interesting opportunity to make a keyboard in a rare kind of T9. If you are bored by button telephones or just used to this type of input, then safely turn it on in the settings and enjoy the 12-key old keyboard. Now the keyboard is being actively developed, it has emoticons and other innovations that are already in the analogs. However, there is still no Lollipop style and it’s a little scary. In principle, the keyboard is free but periodically pops up a window asking to buy it. It can be ignored, the functions in both versions are the same. But if it is very pissed off and you like the program, then it’s not a sin to give developers some fee. 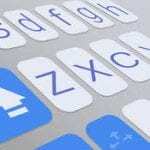 Typany Keyboard – stylish and smart keyboard on Android and iOS phones, which can be customized to suit your style and taste. In the application, for you will be available thousands of emoticons and stickers, and instead of a screensaver you can use any photo from the gallery – create your own design. Typany is very easy to use, so you do not need to replace a boring and annoying standard keyboard, you can do it in a matter of seconds. 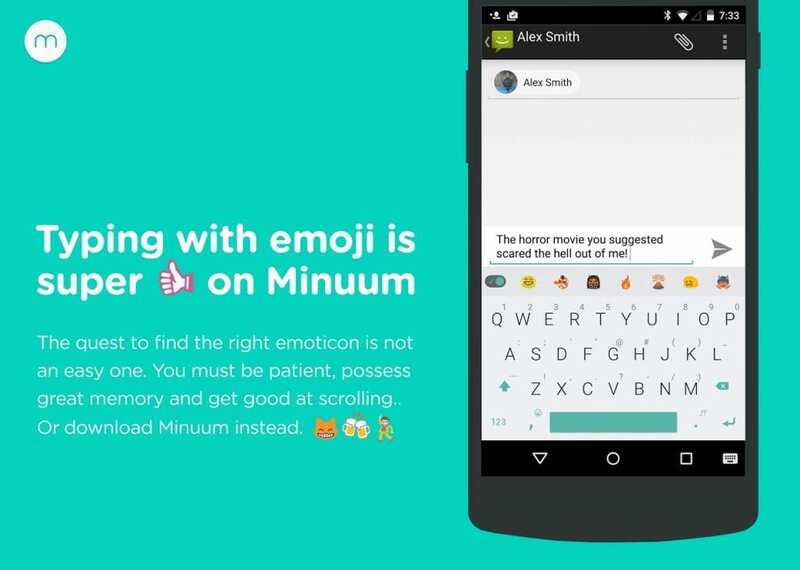 After installing the keyboard on Android smartphone or tablet you will be available a large number of emoticons, stickers and with nothing at all. The basis for innovative text input technology is comfort and speed. Input words and phrases are remembered by the application and the next set of text will be even more speedy and suitable for you, for your style of communication and branded words. Most importantly, you do not need to worry about making unconscious purchases, since the whole program with its chips is perfect for the user free of charge. for your choice a large number of stickers and smileys. The Swype Keyboard program is localized but the default dictionary is available only in English. 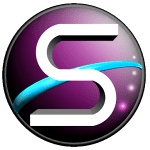 At the last step of the configuration, Swype offers to enable online functions: synchronization of the dictionary with other devices, replenishment of the lexicon of the dictionary from social networks, backup. And all this is done in one click, then you just need to activate the application by the link in the email. 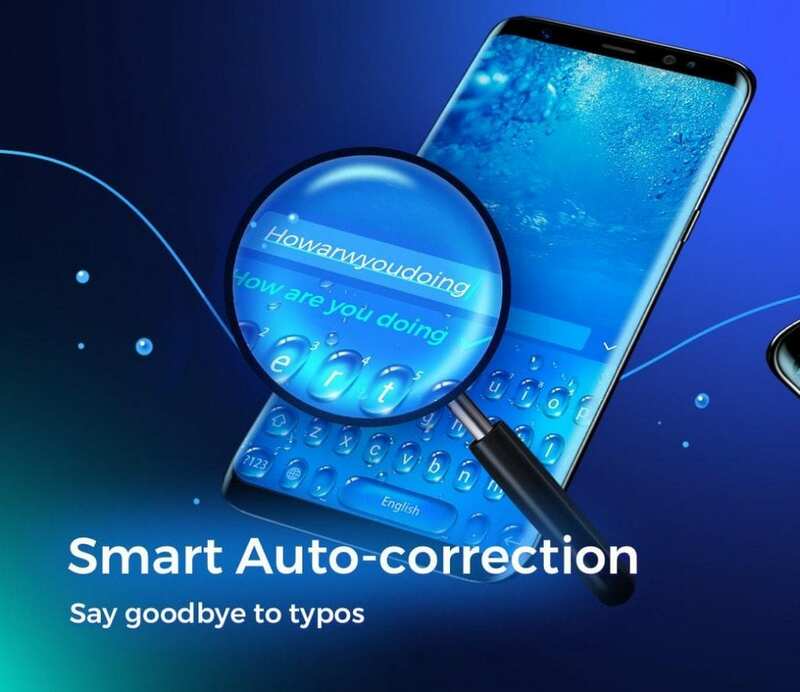 Complete with the program a detailed and qualitatively translated help is included, describing literally every nuance of working with the Swype Keyboard. That is a rarity not only for similar applications but also for Android in general. The main feature of Swype Keyboard is four full-text input modes: conventional, keyboard (print), swipe-input (with gestures), voice (Dragin dictation) and handwritten. The latter is relatively rare in keyboard shells. Theoretically, handwriting can be useful, but, in practice, it clearly does not facilitate quick typing. Swype Keyboard layout is convenient with the arrangement of keys, the ability to quickly switch between input modes and a numeric keypad. In addition to digital, there is a keyboard for editing: copying, inserting, highlighting, moving the cursor, tabbing, and so on. For switching the language in the Swype Keyboard, there is a space: as you can see, the developers have optimized the layout as much as possible so that it does not take up much space and the keys are convenient and accessible on a small screen. The height of the keys cannot be adjusted but the height of the keyboard itself and the font size change. During the set, you can switch between several layouts: bottom-mounted, floating, left and right sides (split mode). To change the appearance, there are themes of different colors and shades, styles (Holo, “material”, etc.). The following input options are available in the Swype Keyboard: correction of errors in words, capital letters, auto-space and predictive input of the next word. There is support for emoticons and tips for them, but Russian is not included in the list of eight languages. For other input methods, there are also settings (for example, recognition speed, tracing of gestures) but there are not many of them. Gesture support is well implemented, all of them are listed in the same section of settings. Basically, gestures are designed to control (display additional keyboards, switch options, languages). Part of the gestures can be used to enter punctuation marks and other symbols. Without them, it is also difficult to do with a swipe-input. Finally, you can mention the special features of the application. These are the functions of Explore by Touch (accessibility function) and Talkback – the voice of the written text. Swype Keyboard – a solid keyboard with well-designed usability and documentation: after reading the help everything becomes in its place, gestures are easy to remember. Supports all layouts, languages, input methods, meaningful functions. Approximately this seems to be the ideal keyboard shell. The functionality of this app will surprise you. The first thing to note is that you have several modes available. No time to type each character or you cannot do it quickly but time is running out? Now you just need to “slip” the finger on the symbols to form a word. 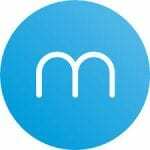 The application captivates with its multilanguage. You can independently configure the languages that will be displayed on the keyboard while adjusting their order when changing. In total, the SideIT Keyboard application supports more than 20 languages. From the interesting features of control, you can select what you can safely navigate through the text with the volume keys. 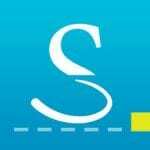 In comparison with other similar applications, it is in SideIT Keyboard that you can correctly type text, the program will automatically correct your errors, correctly complete the word input, and also offer the most successful variants of writing. Customize your personal dictionary, and over time, frequently used words will automatically be offered to you when typing. Each user can choose their own mode of operation. 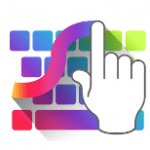 The SideIT Keyboard application supports typing with gestures. This means that you should draw a line along the keyboard so that it contains all the characters that make up the word. The development of such a keyboard takes quite some time, so without training from the first time, it will be quite difficult to type the text. And for users who are accustomed to working in the usual mode, a keypad is provided. In cases where you can not type the text with your fingers, you can use the voice input. The keyboard itself has a beautiful appearance. All keys are of the ideal size, that is not very small and not huge. There are no complaints about the keyboard. The keyboard supports both modes of information display, both in portrait and landscape mode. 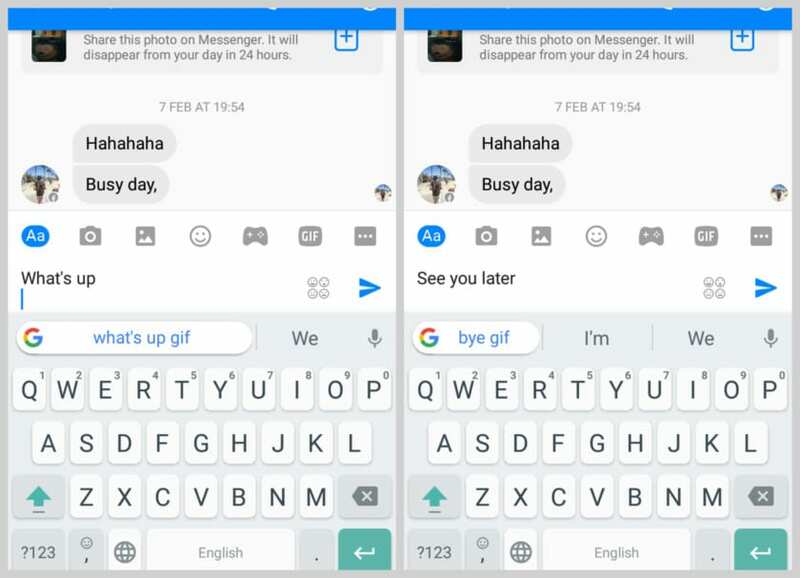 When you flip the phone, the keyboard automatically flips along with the image. Delay during the turn is not found. To install one of these keyboards on your smartphone, just download the application from Google Play or App Store and then follow the instructions in the application. There is nothing difficult in this, we are sure you will succeed. We advise you to try each of the above programs and see which is most convenient for you. Someone likes tips, someone – swipes, well, someone wants a minimalist design and nothing superfluous. And fingers are all of diff the rent sizes, and when choosing a keyboard this is an important parameter. So just install the application, try it, and then remove the ones that do not suit your taste. To use several keyboards still will not succeed.